Marble (probably from Mt. Pentelikon near Athens). Henry Lillie Pierce Fund. Ceramic, Red Figure. William Francis Warden Fund. Ceramic, Black Figure and Red Figure (Bilingual). Henry Lillie Pierce Fund. Head of Polyphemos, Greek or Roman, about 150 BC or later. Marble, dolomitic from the Greek island of Thasos. Museum purchase with funds donated in honor of Edward W. Forbes. Marble, Dolomitic from the Greek island of Thasos. Museum purchase with funds donated in honor of Edward W. Forbes. Painter Makron, Potter Hieron, Drinking cup (skyphos) with the departure and recovery of Helen, Greek, Late Archaic Period, about 490–480 BC. Ceramic, red figure. Francis Bartlett Donation of 1912. 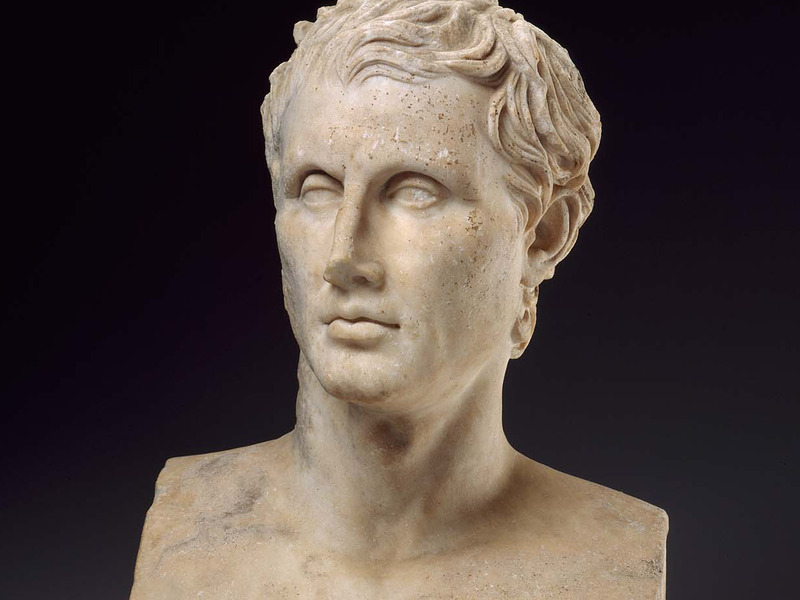 The MFA’s world-renowned portrait of the iconic poet Homer anchors this gallery devoted to works of art illustrating scenes from The Iliad and The Odyssey, as well as other Greek epics. Near the gallery entrance, a large multi-touch screen provides an interactive introduction to the narrative sweep of the Trojan War. 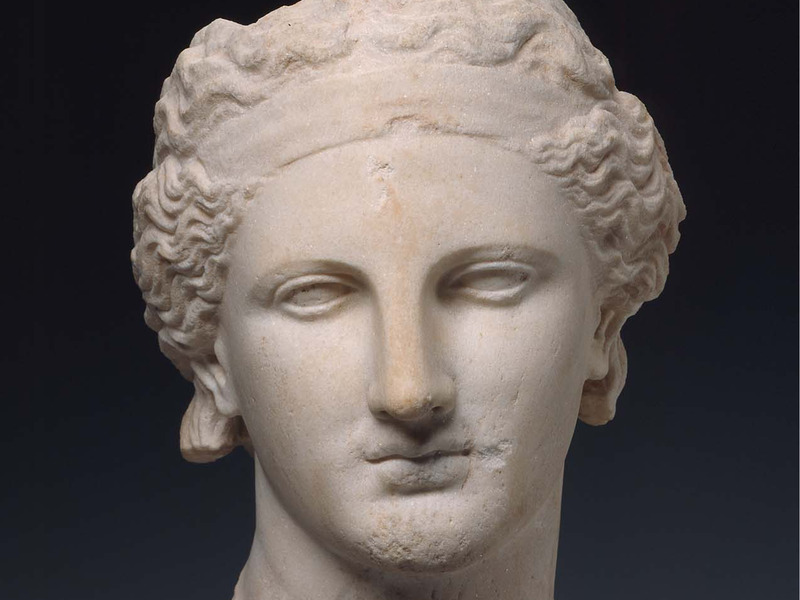 The Greek Classical Gallery, 215B, introduces the production of wine and its significance in Greek culture and religion.